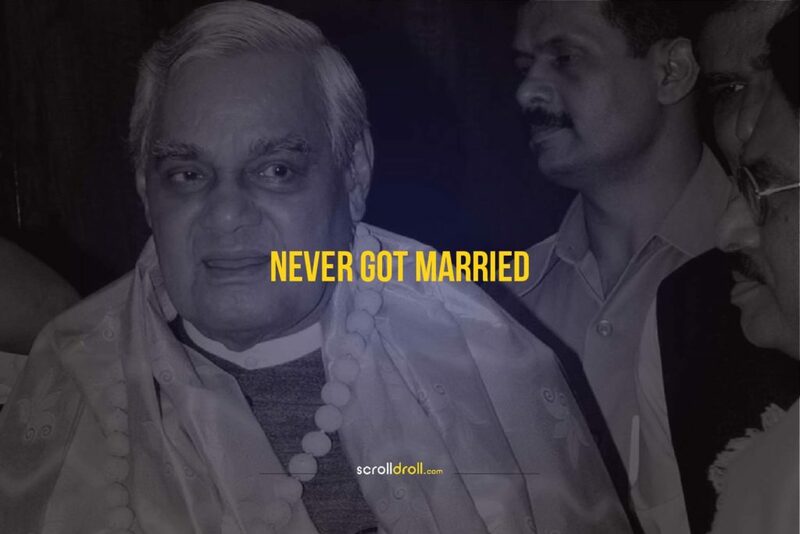 The post 18 Interesting Facts about Atal Bihari Vajpayee appeared first on ScrollDroll. 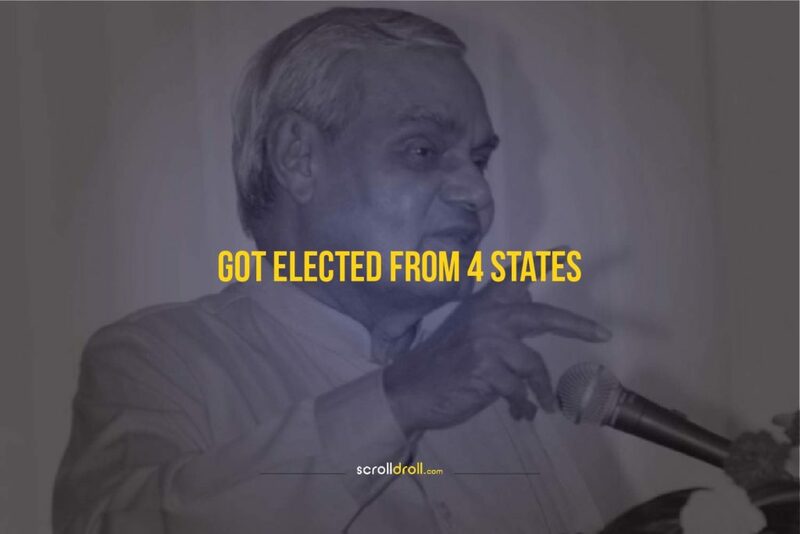 A respectable figure and one of the greatest politicians of India. 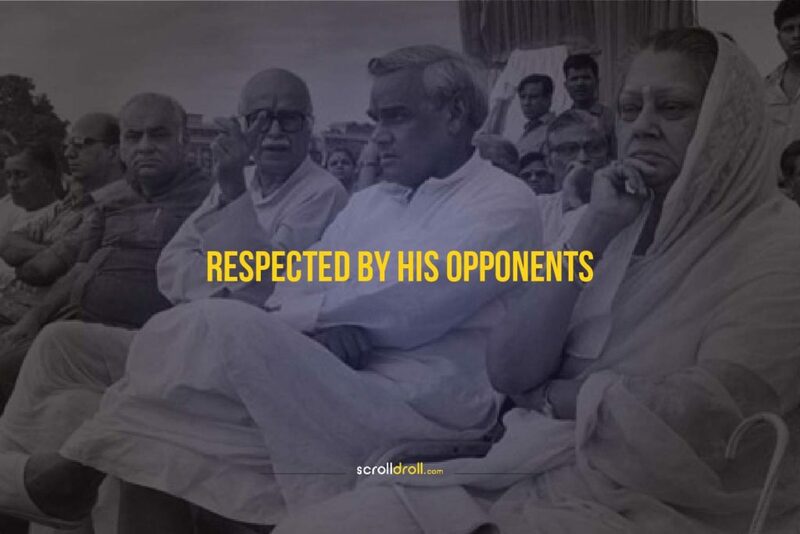 Also known as the “Bhishma Pitamah” of Indian politics, Atal Bihari Vajpayee’s personality was able to win over not only all the countrymen but also his oppositions. 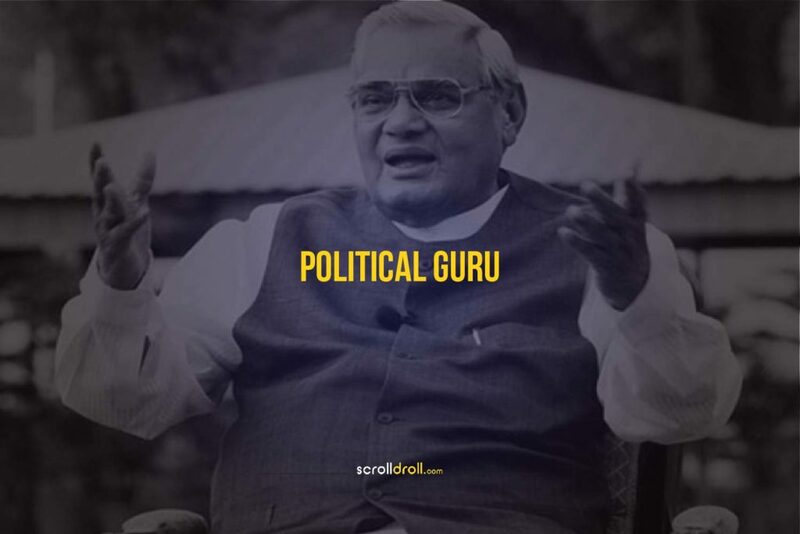 He was a gem of a politician who always put his country first. 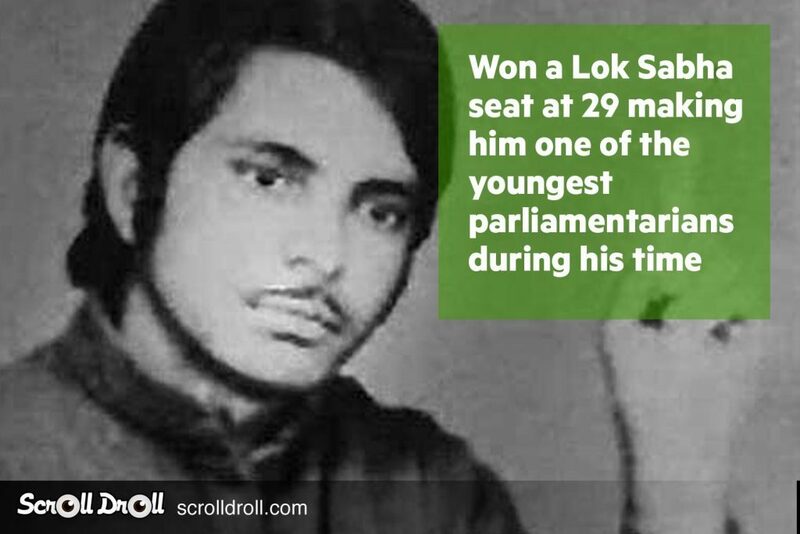 Check out some amazing facts about him. 12. 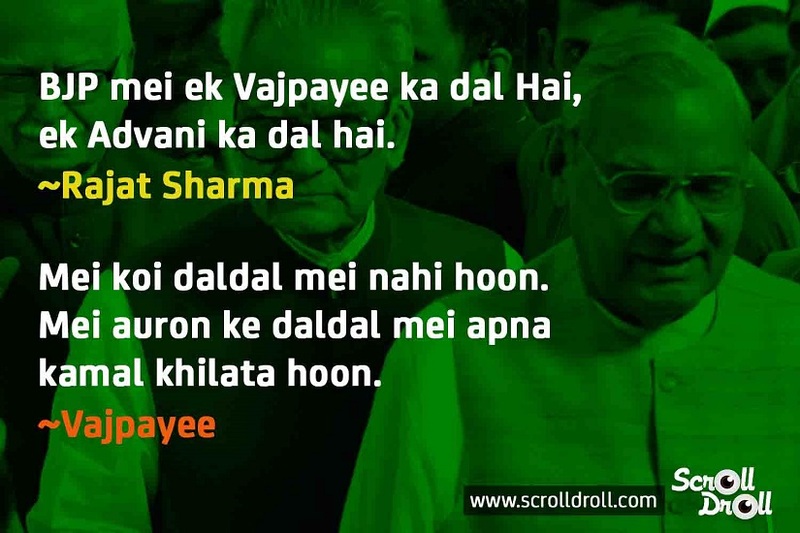 To illustrate the power of “Science”, Vajpayee Ji improvised the famous quote by Lal Bahadur Shastri- Jai Jawan, Jai Kisan. 15. 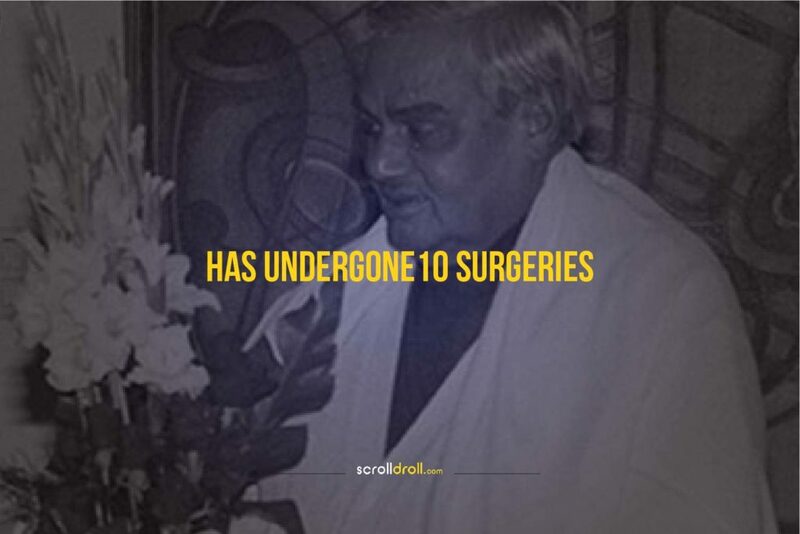 Vajpayee ji was sick for a long time, went under 10 surgeries in last 20 years. 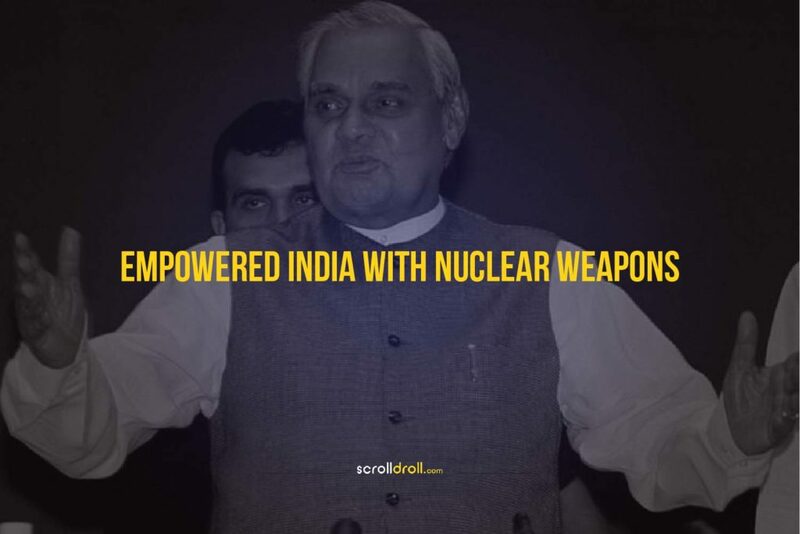 Atal Bihari Vajpayee had a great run as the Prime Minister and reshaped India in many ways. 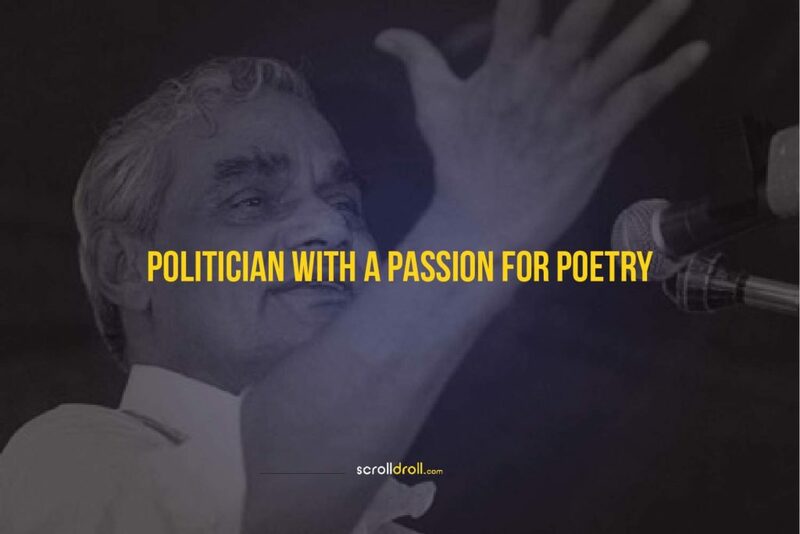 With his sheer political intelligence, he not only became an epitome of leadership but also won the hearts of many with his wit and poems. 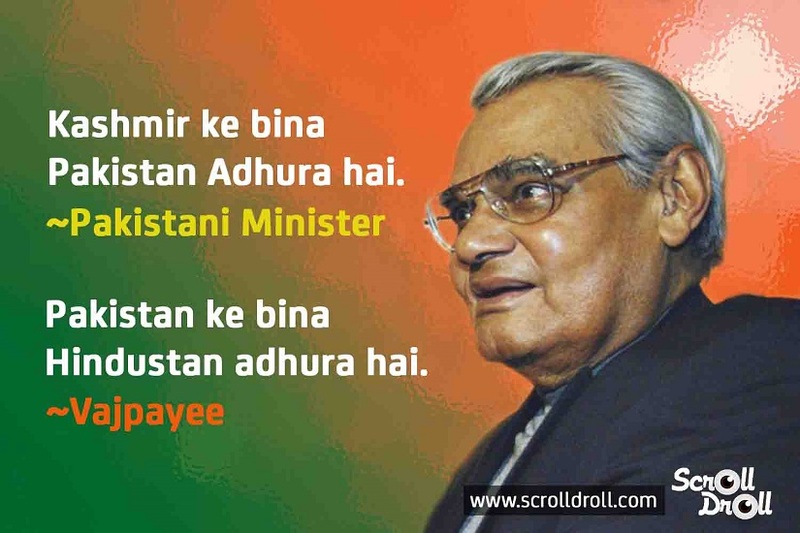 We wish to have more leaders like him & will dearly remember him! 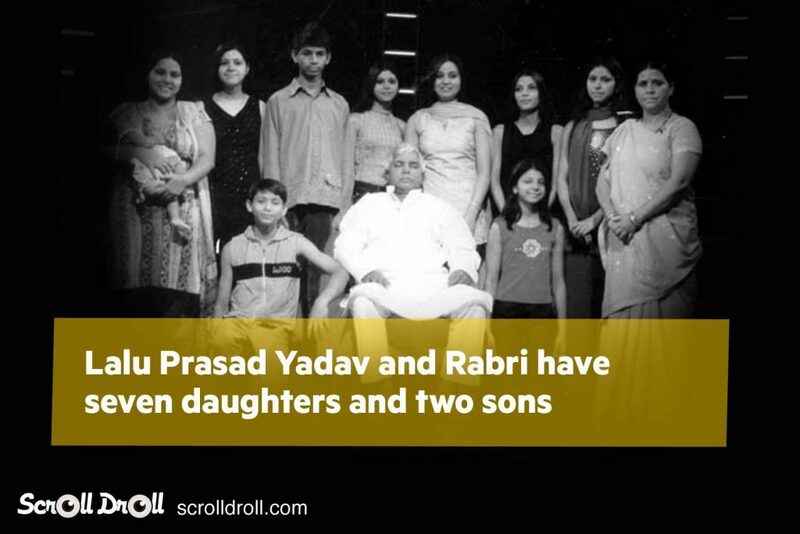 The post 11 Political Statements That Shouldn’t Have Been Made appeared first on ScrollDroll. 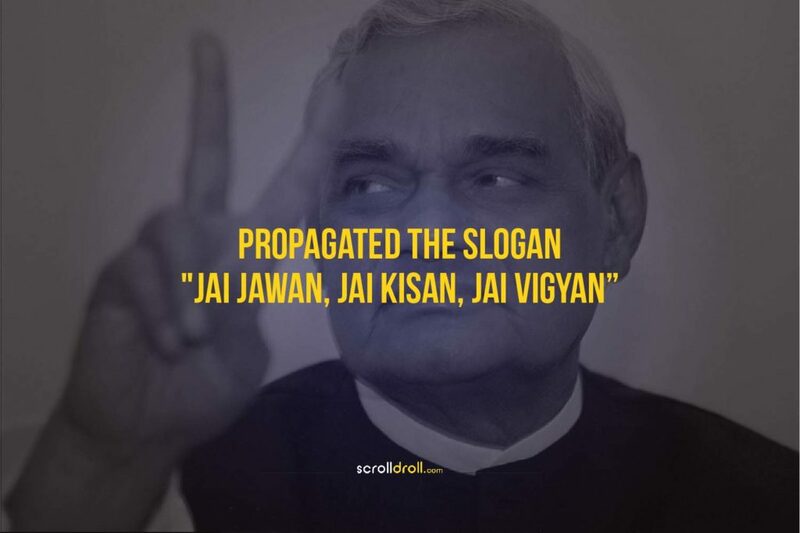 Political statements are often called attention seeking, but statements by the political ‘heroes’ are now hitting an all-time low. 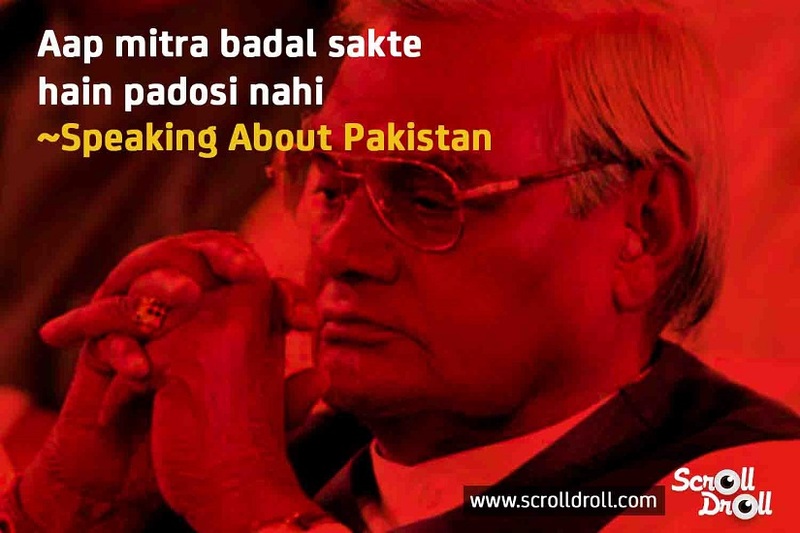 Below the belt remarks have become commonplace. 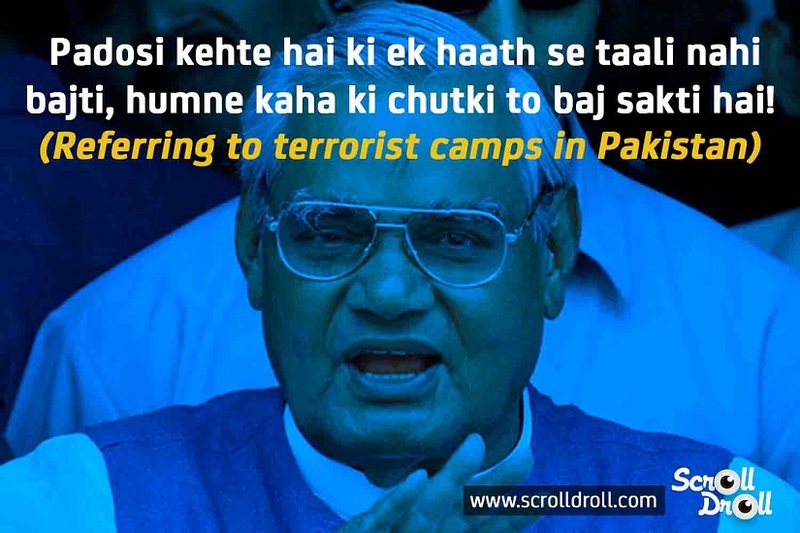 It is however commendable how the Indian media and population all condemn the statements and make sure the leaders know their place. 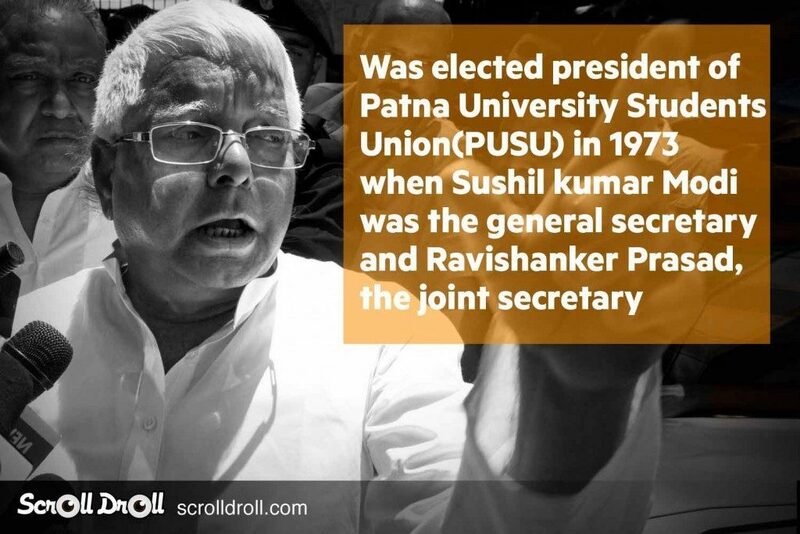 So we’ve scraped together for you, 11 political statements that shouldn’t have been made by leading politicians. 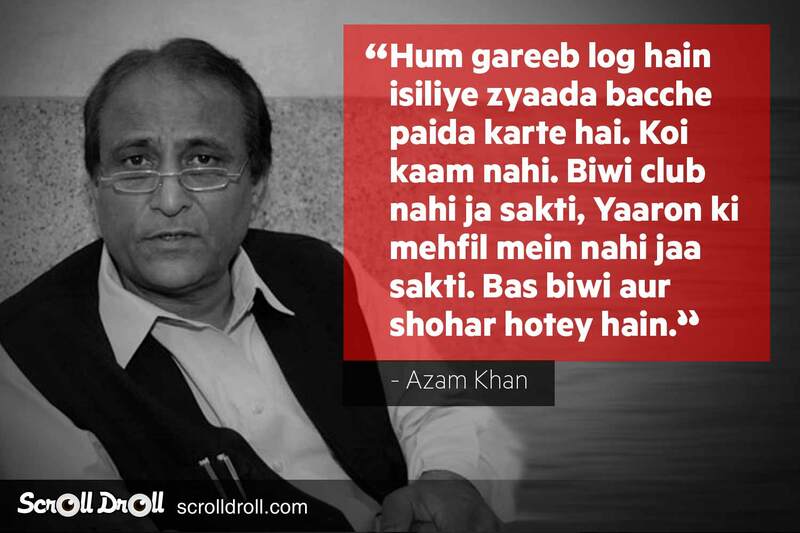 Samajwadi Party leader Azam Khan made this statement after which the Election Commission barred him from holding public speeches and meetings. 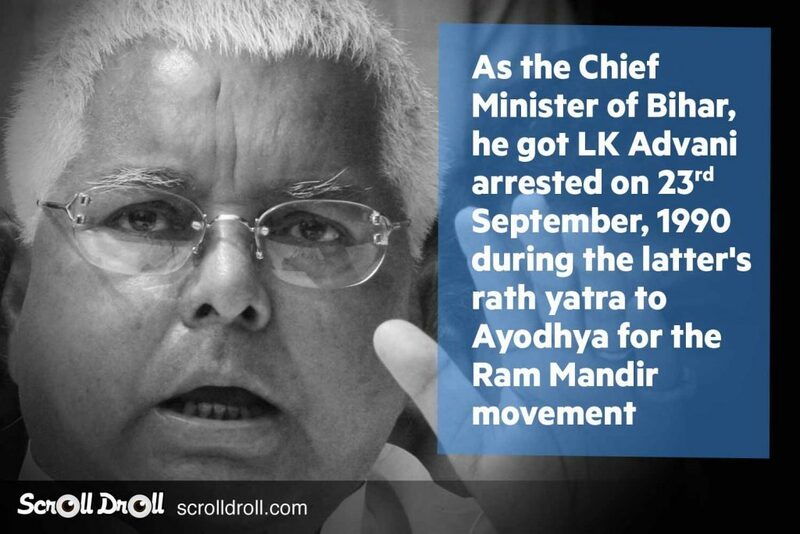 An FIR was also launched against him for inciting hatred. 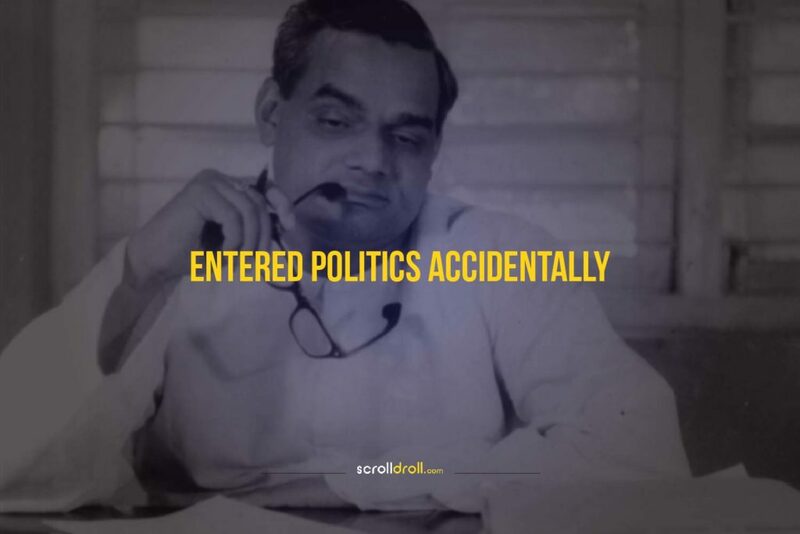 Shiv Sena mouthpiece Saamana wrote a scathing editorial on May 2, 2014 against Gujarati businessmen who supported Modi and did not partake in Maharashtra Day celebrations. 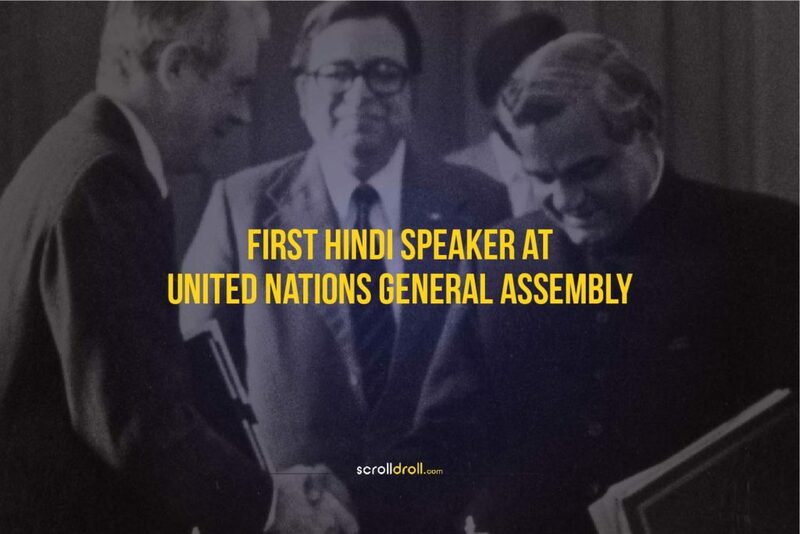 Indira Gandhi abolished the privy purses in 1972, stopped food imports and coined the slogan ‘Garibi Hatao’. 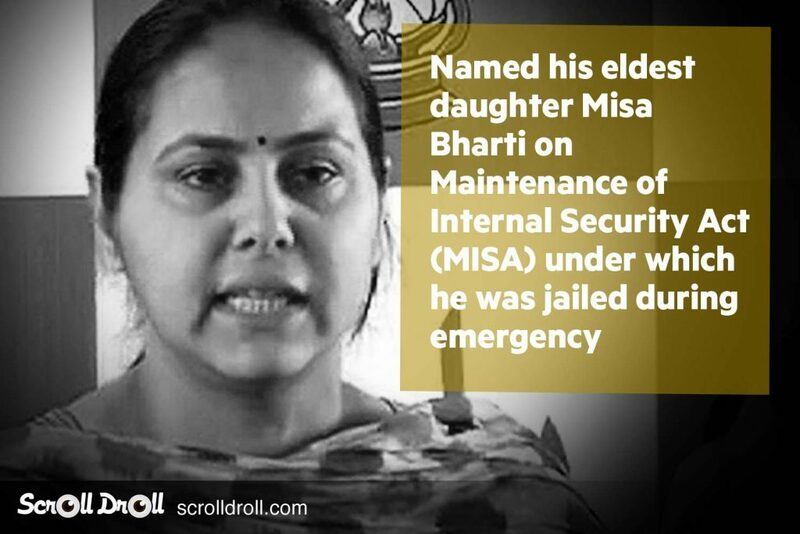 Her behaviour was being seen as increasingly autocratic and imperious, purging Congress of any possible dissenters. 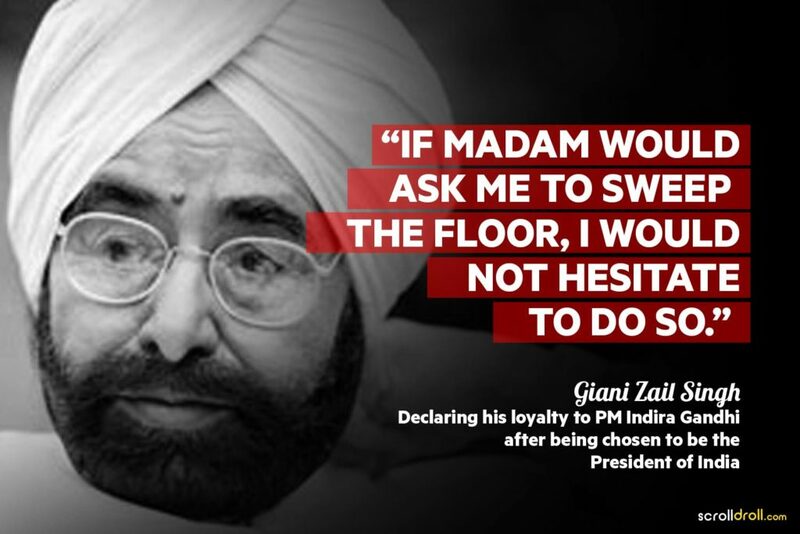 While Indira Gandhi was the prime minister of India, she chose Giani Zail Singh to become the president. 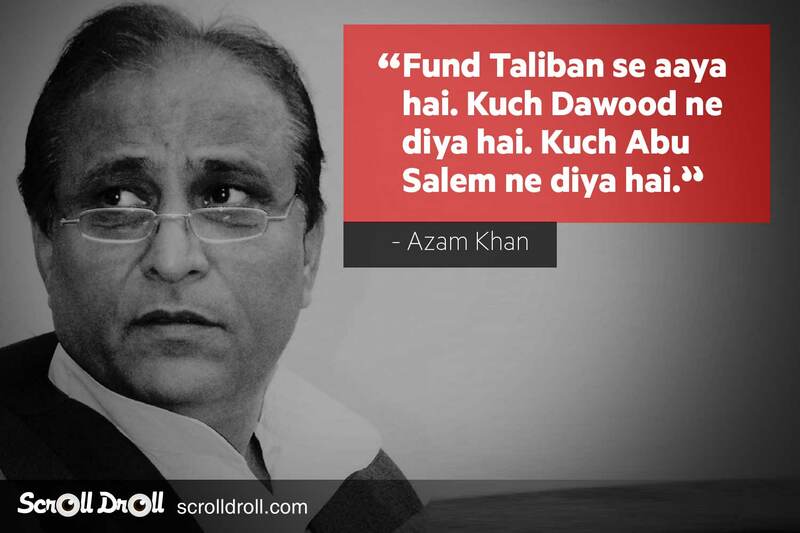 It was then that he said this to show his loyalty towards her. 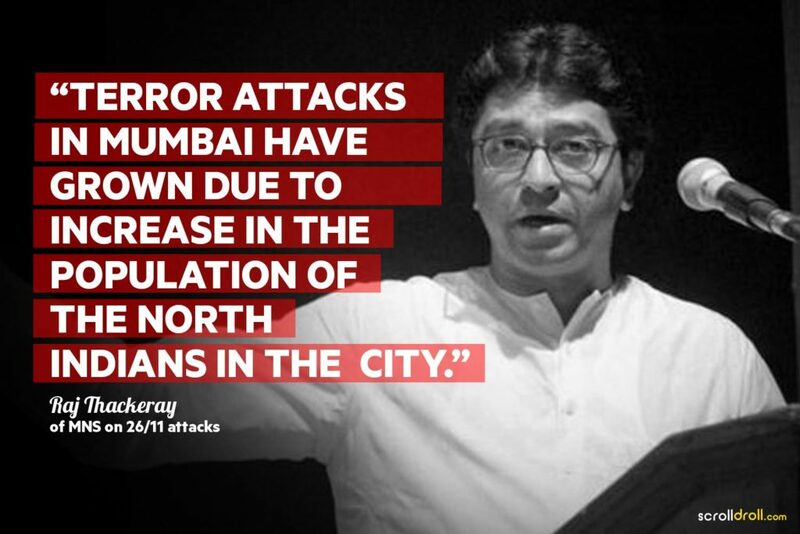 Raj Thackeray has often targeted North Indians in his speeches. 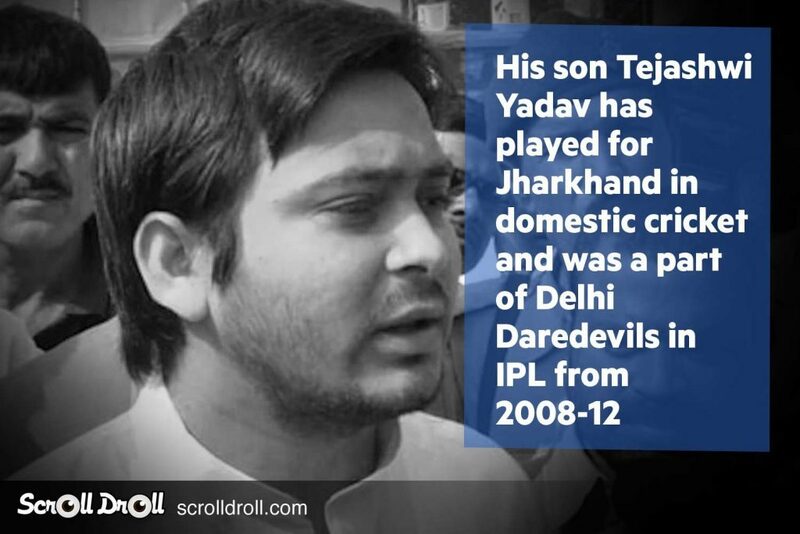 This time, he targeted the migrants in Maharashtra by saying the crime rates were on a rise due to a large number of North Indians flooding the state. 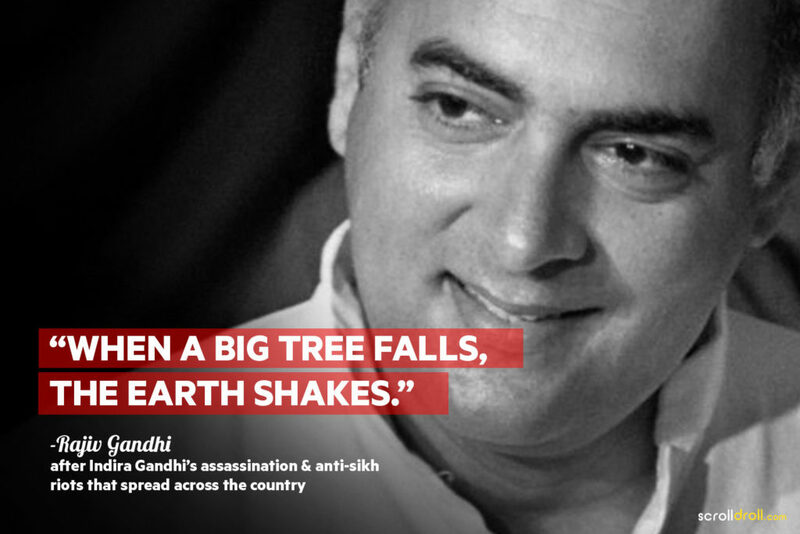 After Indira Gandhi was assassinated, her son Rajiv Gandhi said this infamous sentence during the 1984 Sikh riots. 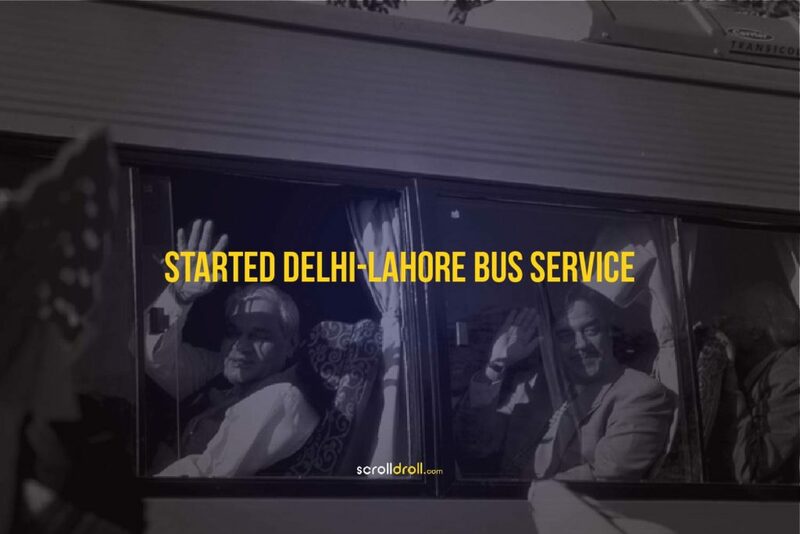 The riots were a fallback of the assassination, which was carried out by two of Indira Gandhi’s Sikh bodyguards after the completion of Operation Blue Star. 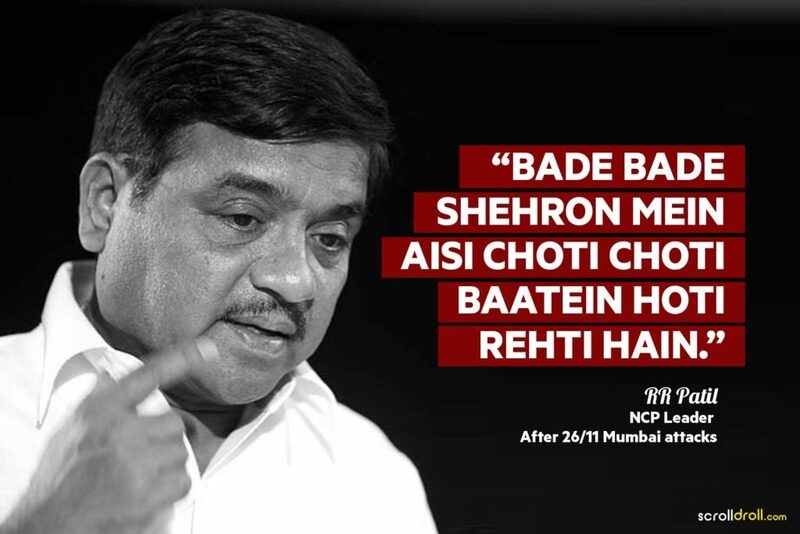 NCP leader RR Patil often falls under strong criticism because of his statements. 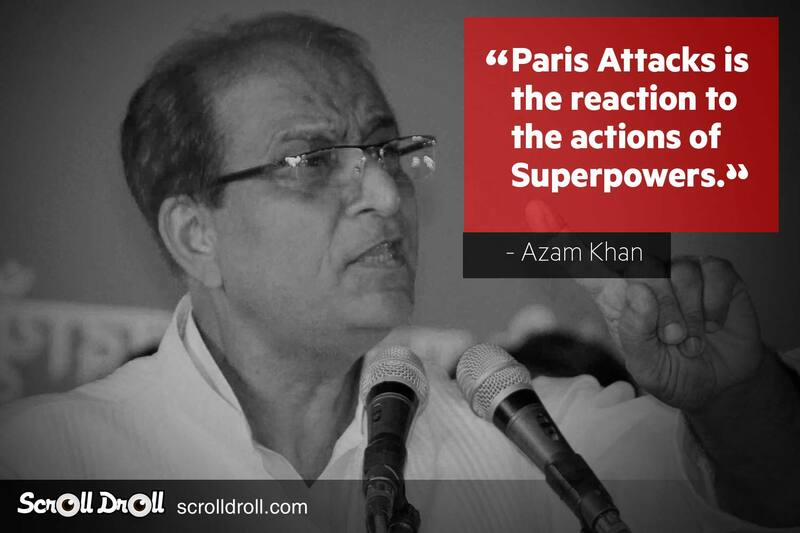 This statement was made by him after the 26/11 attack, after which he had to resign from his post as Maharashtra’s home minister. 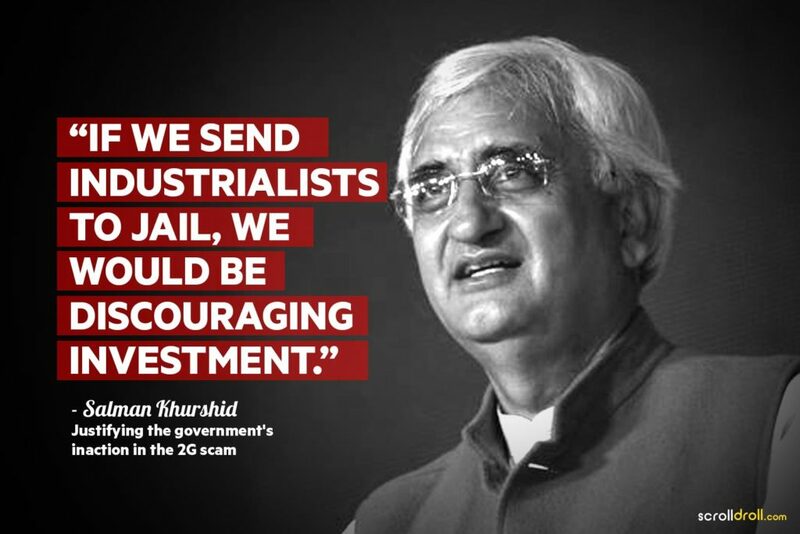 Salman Khurshid justified the government’s inaction after the 2G spectrum scam, in which many industrialists and politicians were involved. 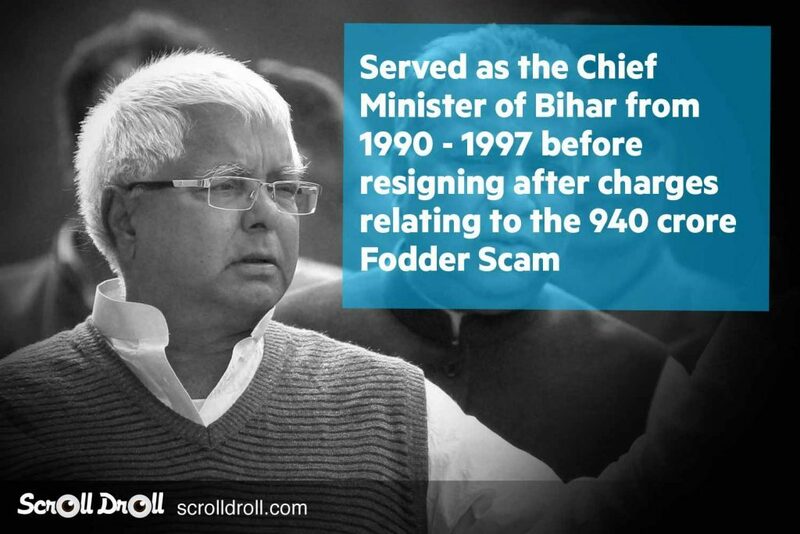 In the charge sheet filed by CBI, the loss was pegged at ₹309,845.5 million. 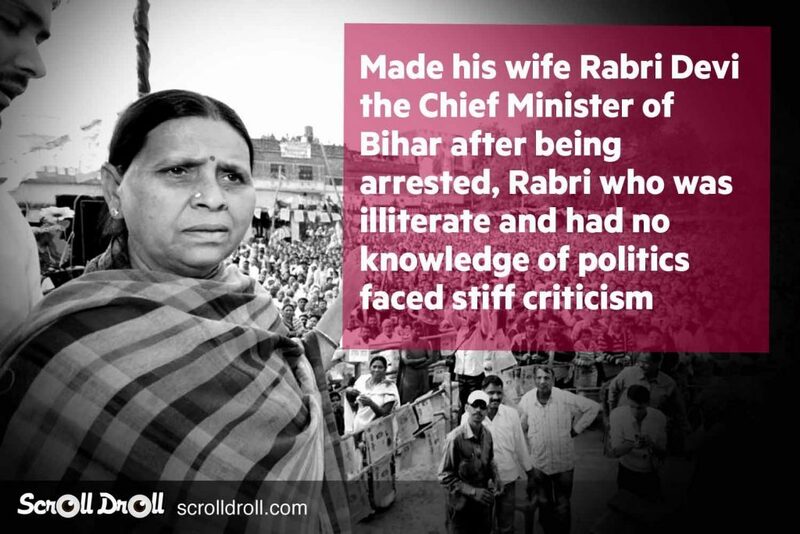 It is a very common behaviour of politicians in the country to use unacceptable language and adjectives for the opposition leaders. 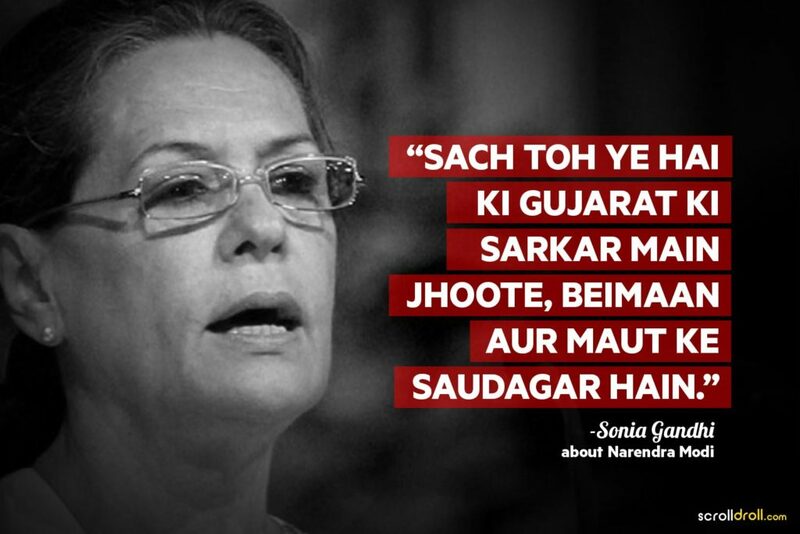 This was one such instance when Sonia Gandhi spoke ill about the then chief minister of Gujarat, Narendra Modi, in light of the Godhra riots. 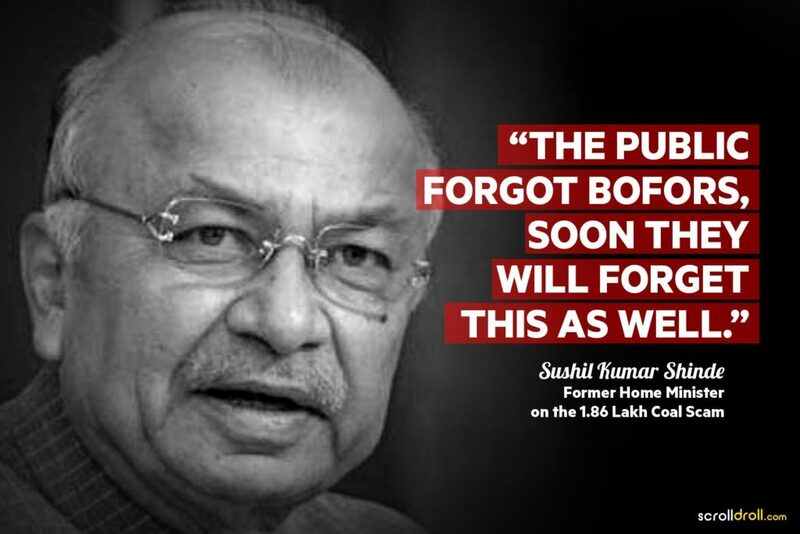 On being asked about the parliamentary session deadlock after the Coal Scam Sushil Kumar Shinde, the then home minister said the parliament would resume in some time owing to the poor memory of the people. 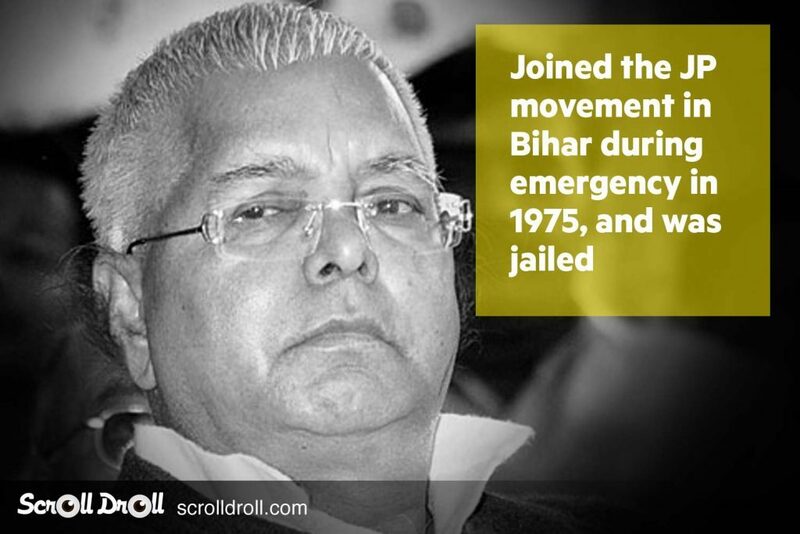 The Bofors Scam was a major political scandal in India during the 1980s. 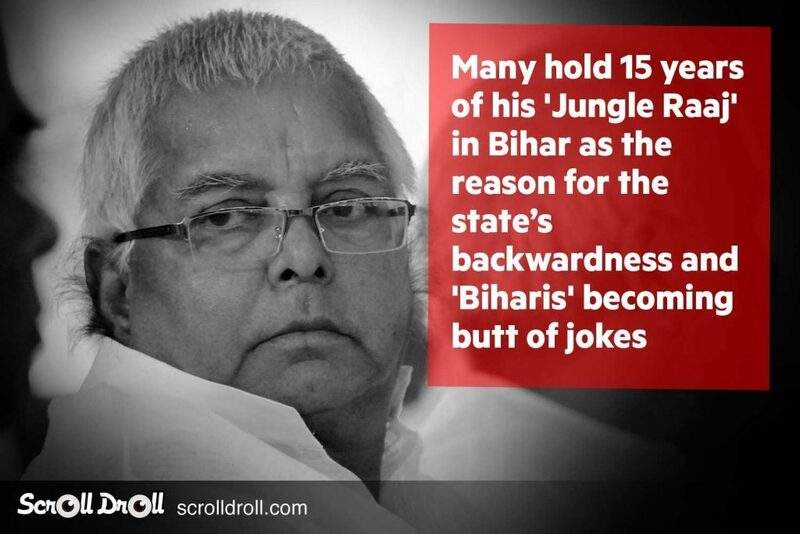 As sad as these statements may be, our politicians have often found themselves being ridiculed for their insensitive statements that are often seen offending a community or the nation as a whole. 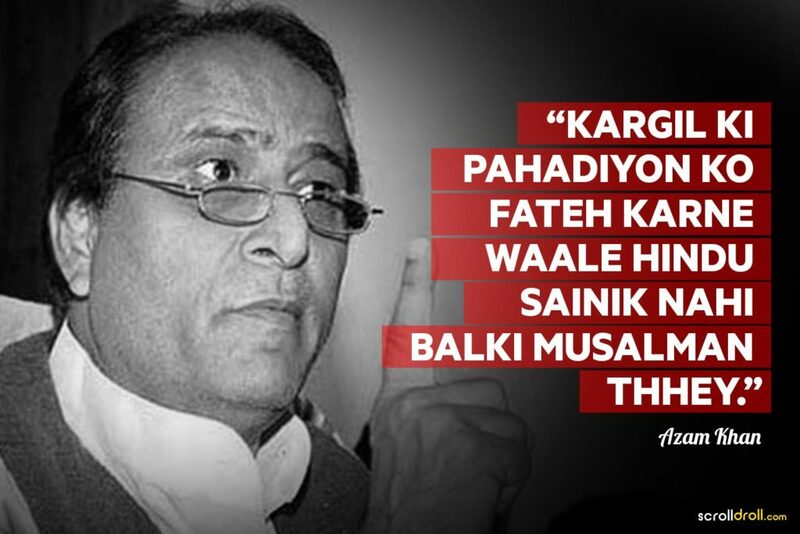 The politics of caste, race and religion has truly corrupted the Indian political scenario. It is time the politicians are pulled up for it and are forced to maintain a gentlemanly language skill. 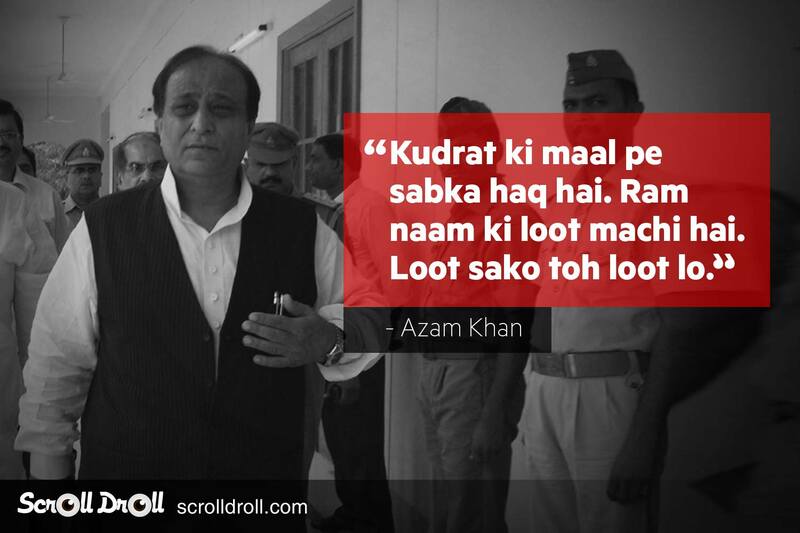 The post 13 Controversial Statements By Samajwadi Party Leader Azam Khan appeared first on ScrollDroll. 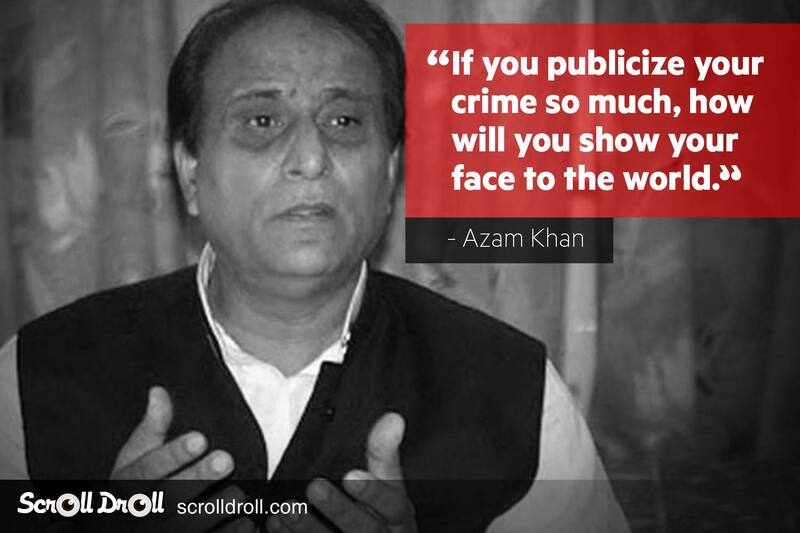 Samajwadi Party’s firebrand leader and former Uttar Pradesh Urban Development Minister Azam Khan strikes the headlines for his sensational allegations, communal politics, abusive language and a foot in the mouth disease that spares none. 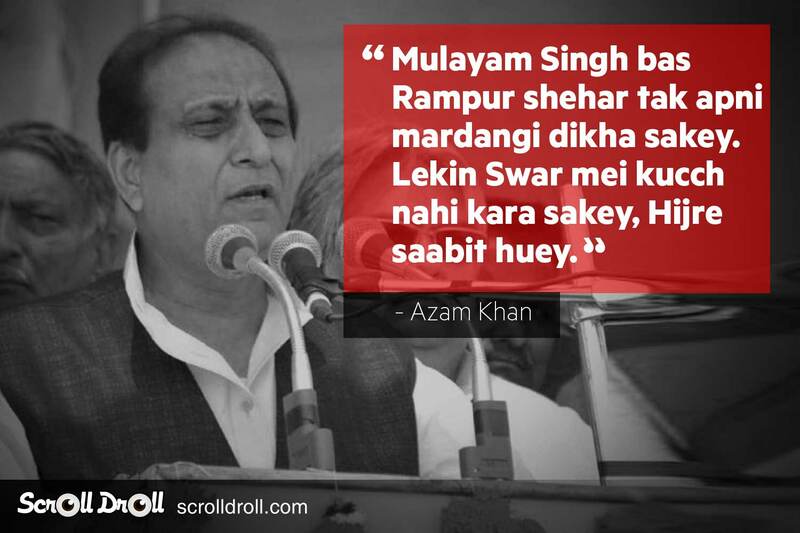 From Prime Minister Narendra Modi to his own party supremo Mulayam Singh, Azam Khan has taken on every prominent political leader in his fiery speeches. 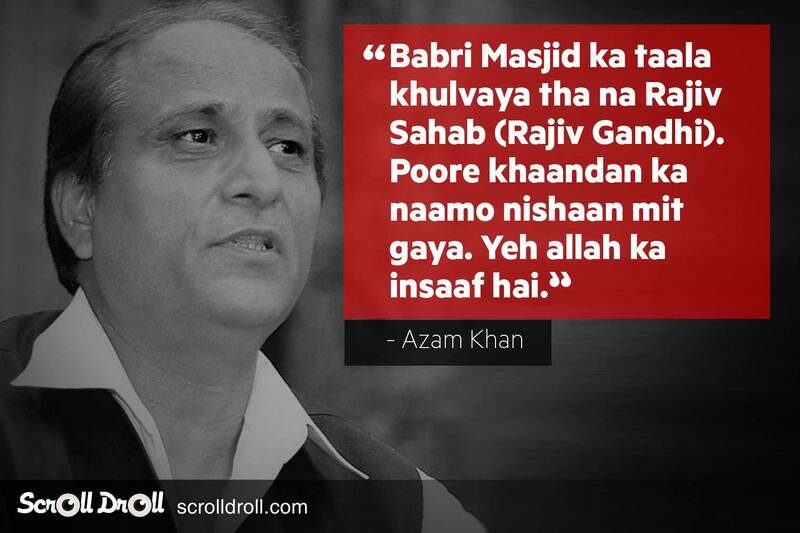 Here’s a compilation of Azam Khan’s controversial statements that raised eyebrows. 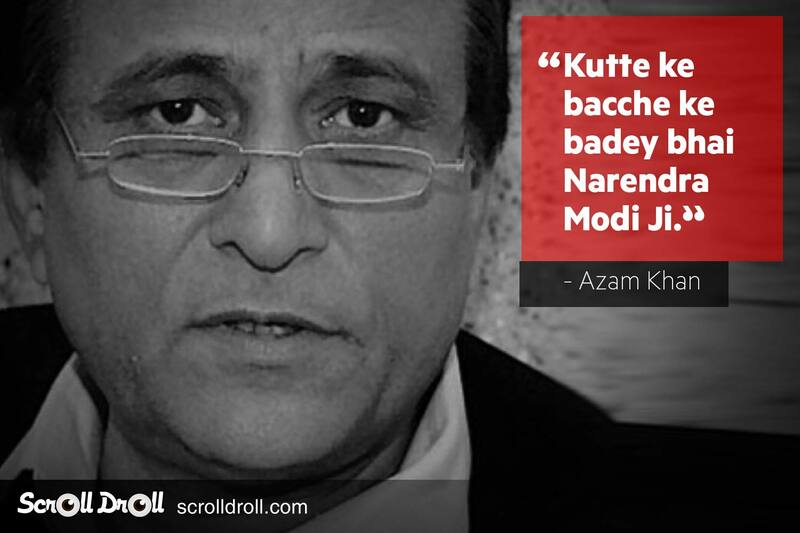 Leaders like Azam Khan have a follower base across the nation. 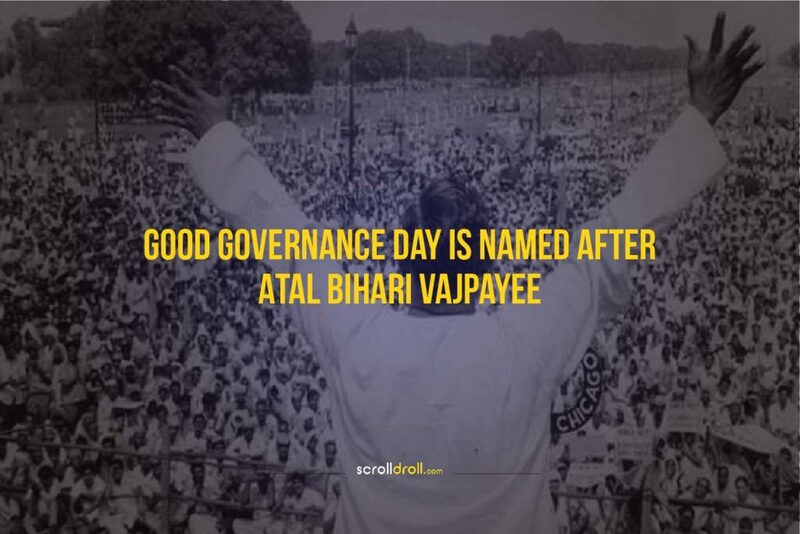 It is not only a moral responsibility, but also a social responsibility of leaders to make responsible statements. 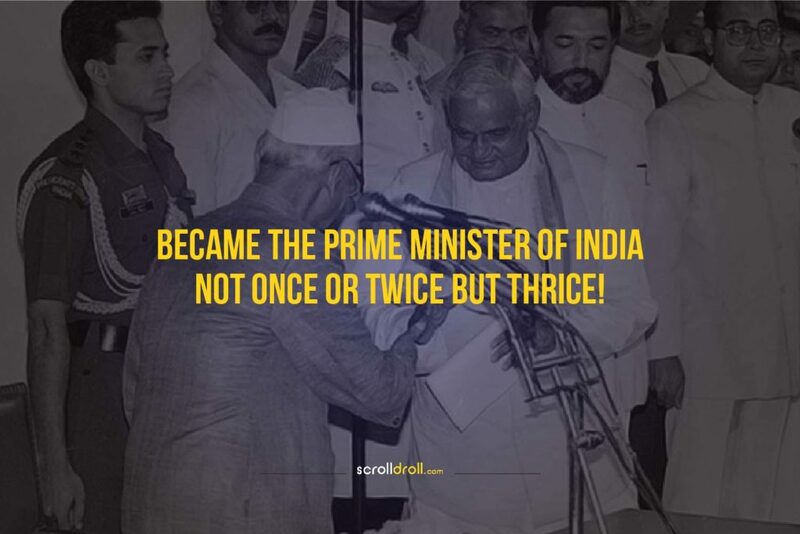 But, if it’s the leaders who are maligning the reputation of the nation then it’s our fault that we elected them in the first place. 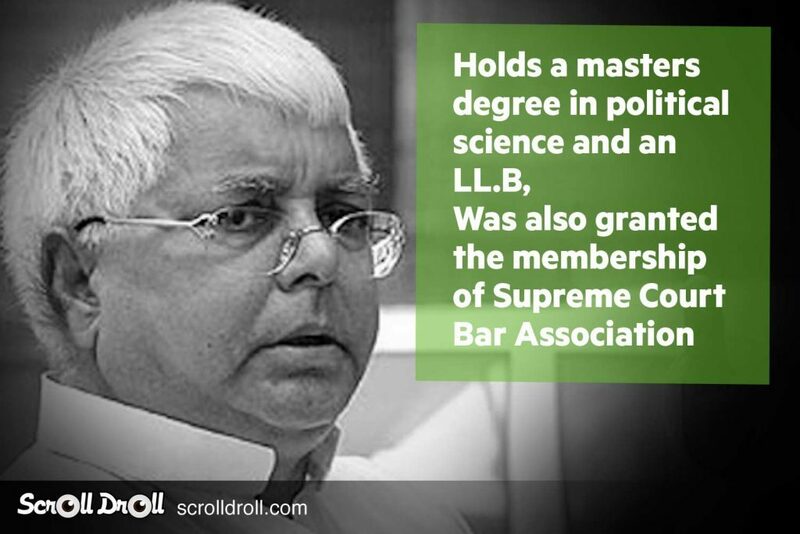 Do you think that our country deserves better politicians? 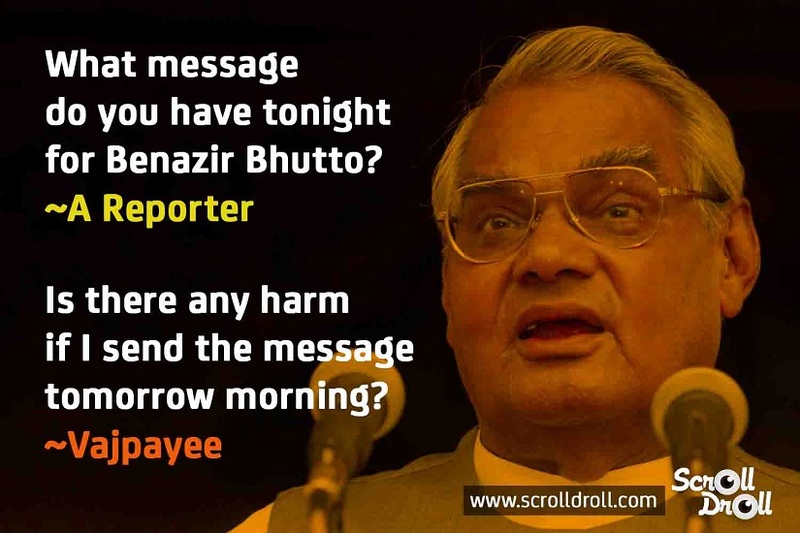 If yes, then where do you think we are lacking that we end up choosing leaders who instigate the masses with their toxic words? 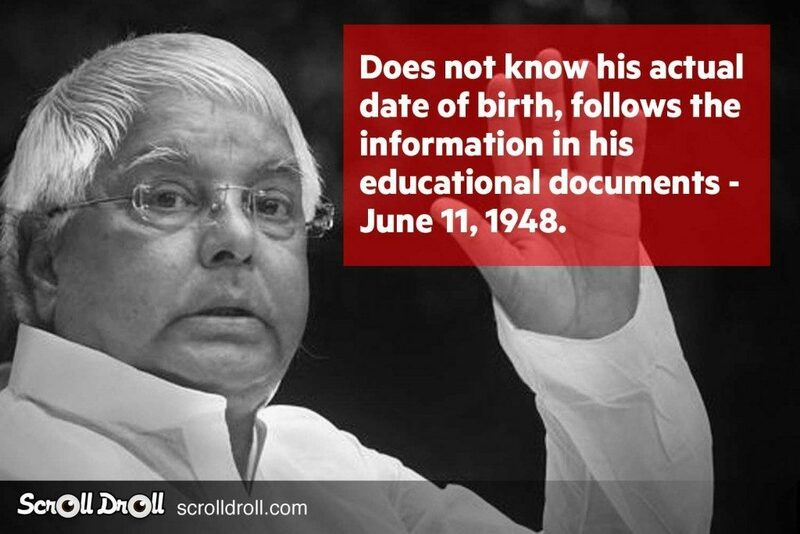 The post 17 Interesting Facts About The King Maker – Lalu Prasad Yadav appeared first on ScrollDroll. 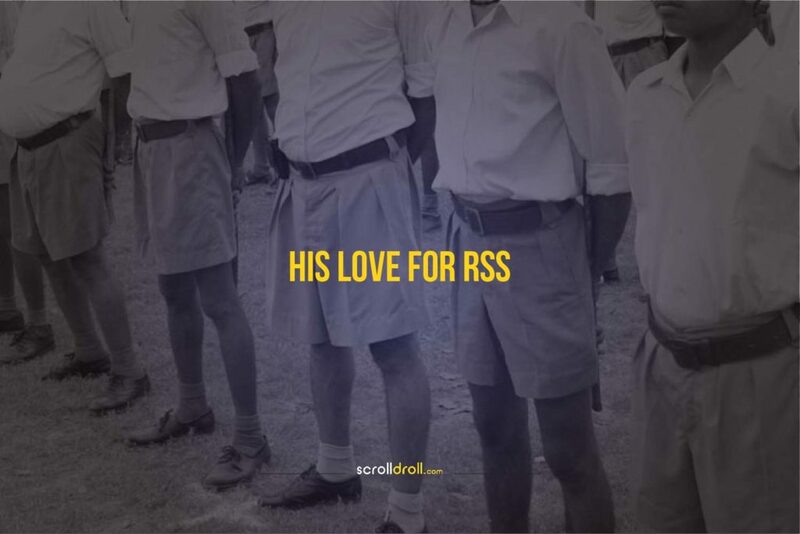 Love him, hate him or mock him but you just cannot ignore him. 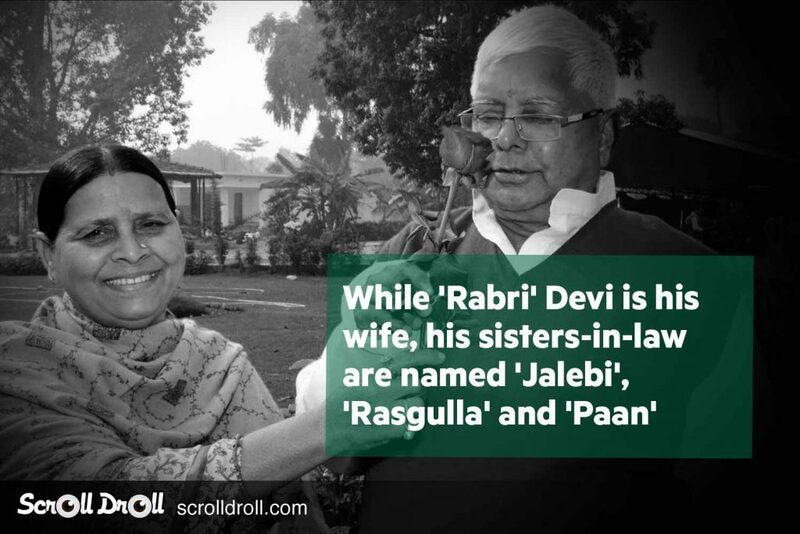 From becoming one of India’s youngest Lok Sabha members at the age of 29 to holding high profile cabinet portfolios at the centre, RJD supremo Lalu Prasad Yadav has emerged as one of the most prominent leaders and the ‘King Maker’ in Indian Politics. 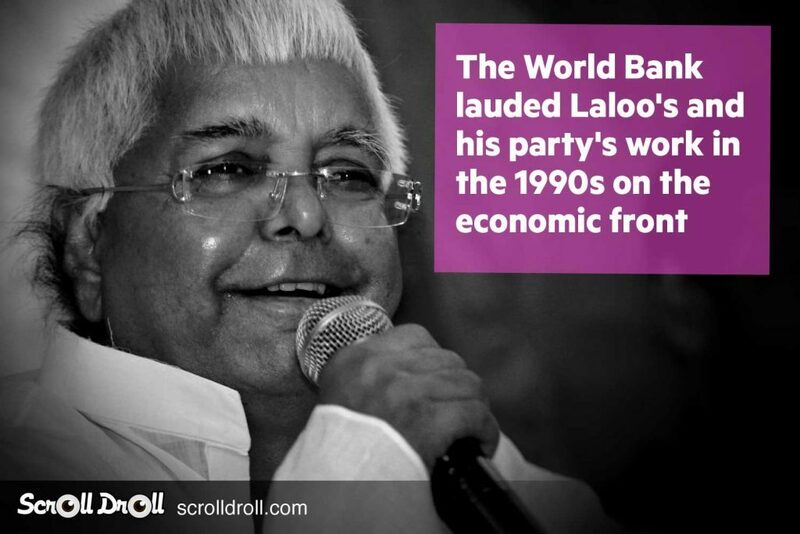 We bring you 17 interesting facts about Lalu Prasad Yadav. 14. Family planning, what’s that? 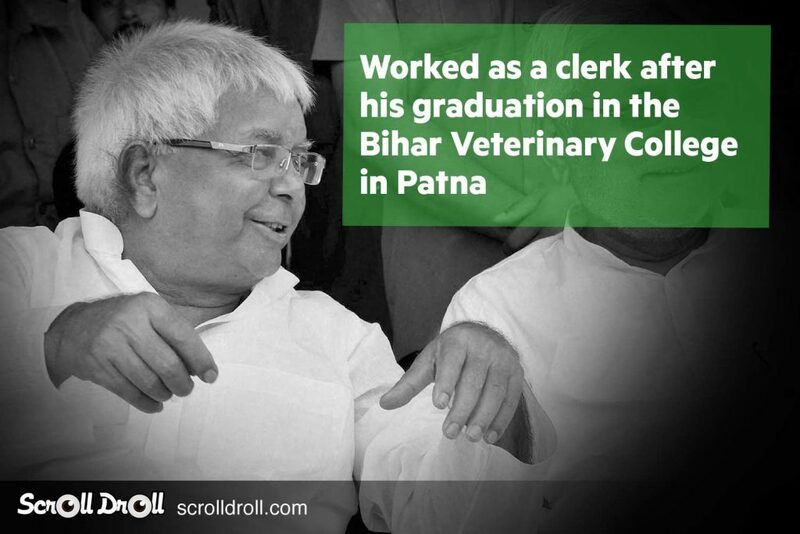 And for all those who thought him to be uneducated and incompetent, Lalu Prasad Yadav has a fair share of degrees in different fields of study and has been significantly praised for his work. 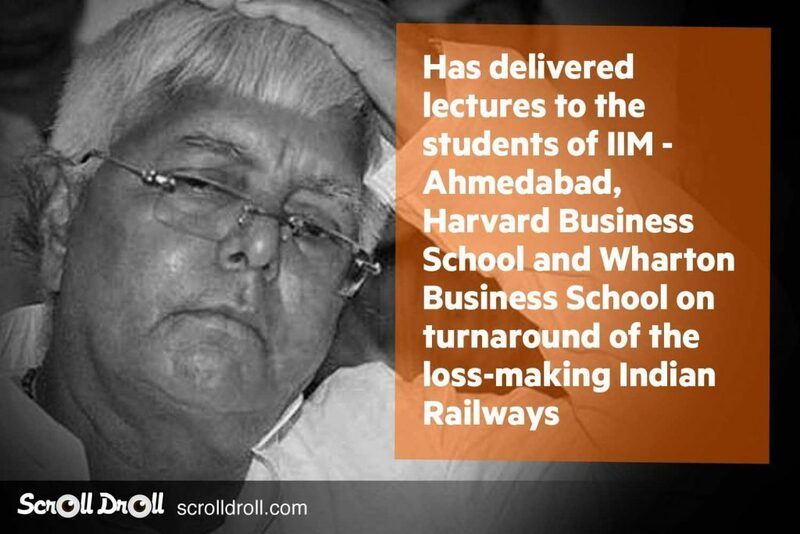 Do you think this interesting politician is criticized more than he deserves or is he rightly responsible for what comes his way? Let us know in the comments below! 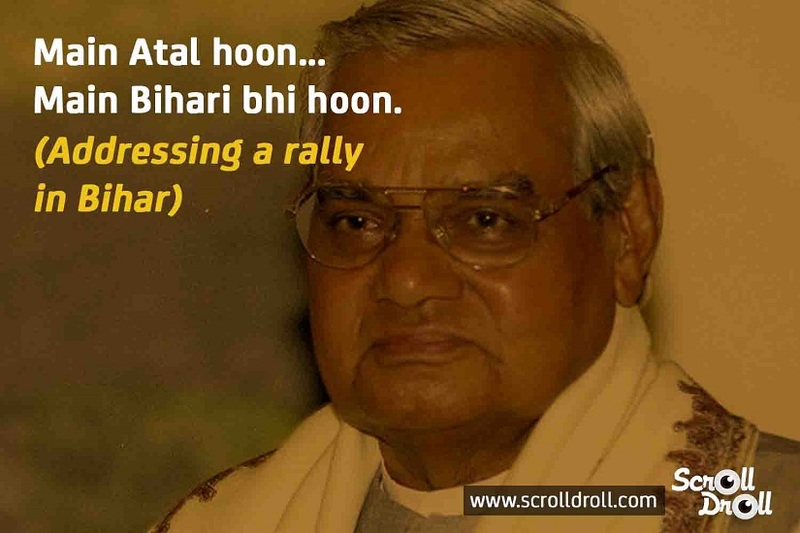 The post 8 Witty Quotes By Atal Bihari Vajpayee, The King Of Oratory appeared first on ScrollDroll. 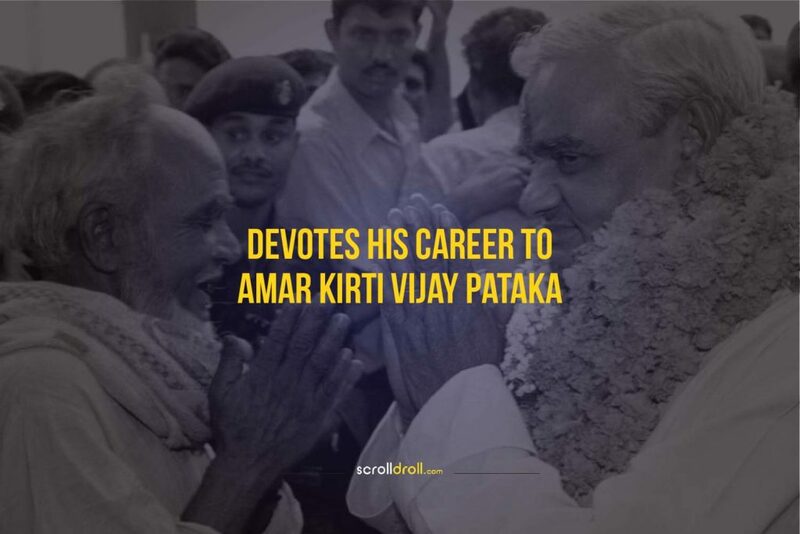 Former Prime Minister and “Bhishma Pitamah” of Indian Politics, Atal Bihari Vajpayee may no longer be involved in active politics but the nation remembers his legacy of being a man of masses and an ardent champion of women empowerment and social equality. 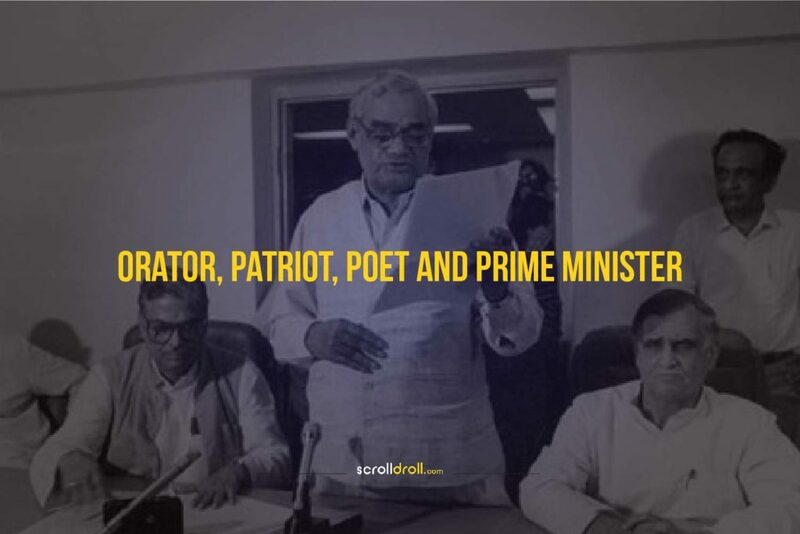 A poet by heart and an orator par excellence, Vajpayee’s fiery speeches and witty replies often left the listeners in awe and the opposition in jitters. 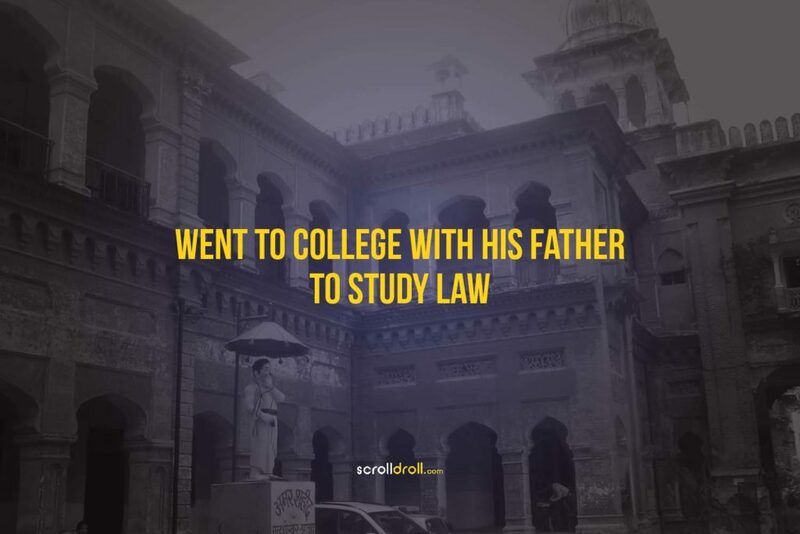 You’ll not know what hit you! 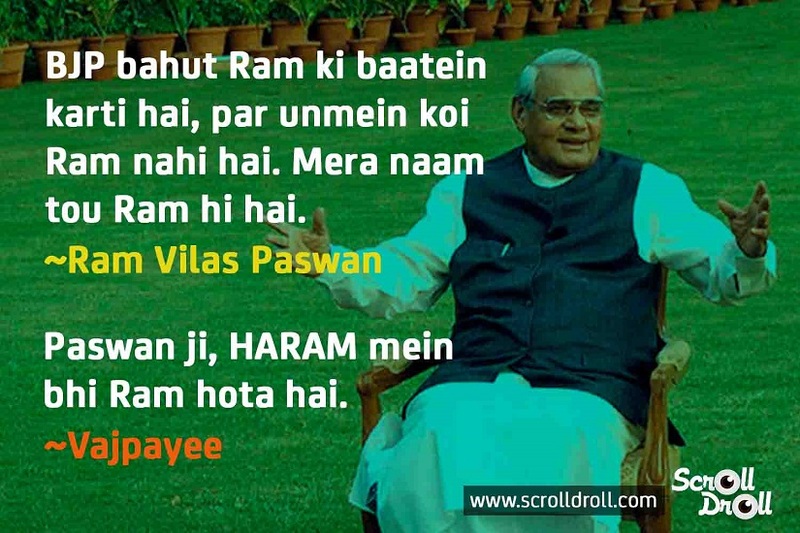 Ram, He Ram, or Haram? 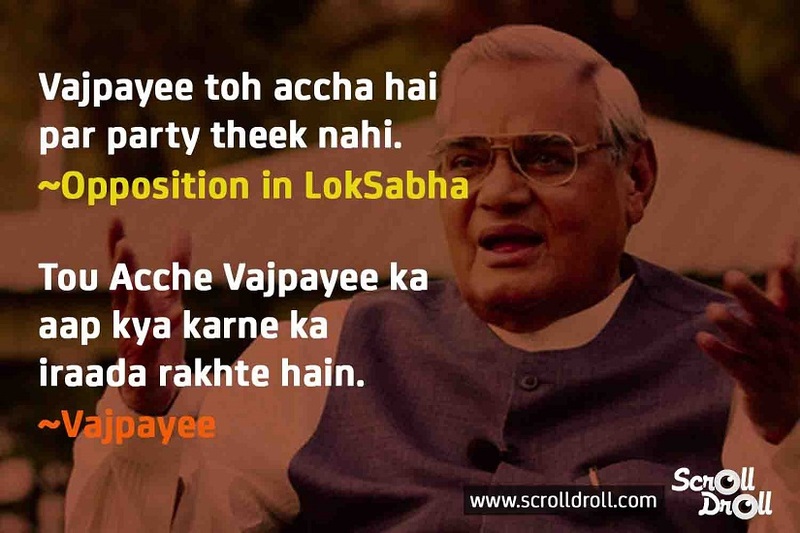 Amusing, charismatic and intelligent, Atal Bihari Vajpayee is a gem of a politician who led India boldly and astutely throughout his run as the Prime Minister. 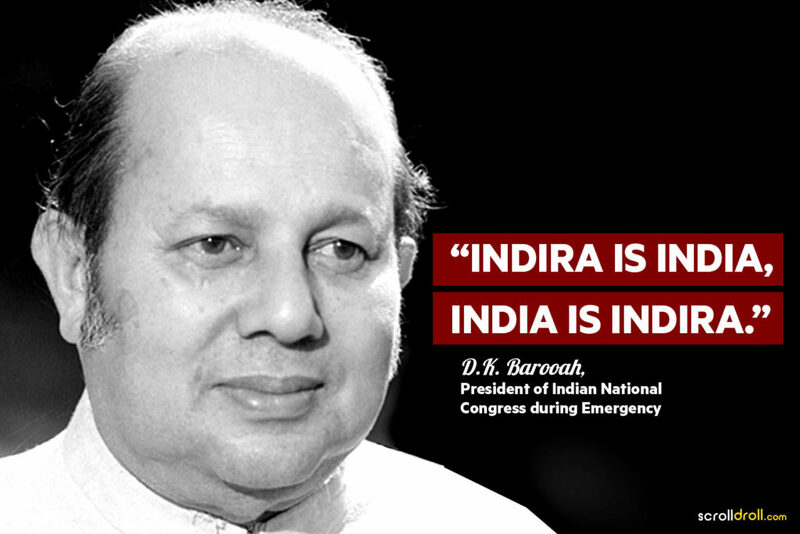 He is among the most celebrated and respected leaders of India who continues to inspire us! 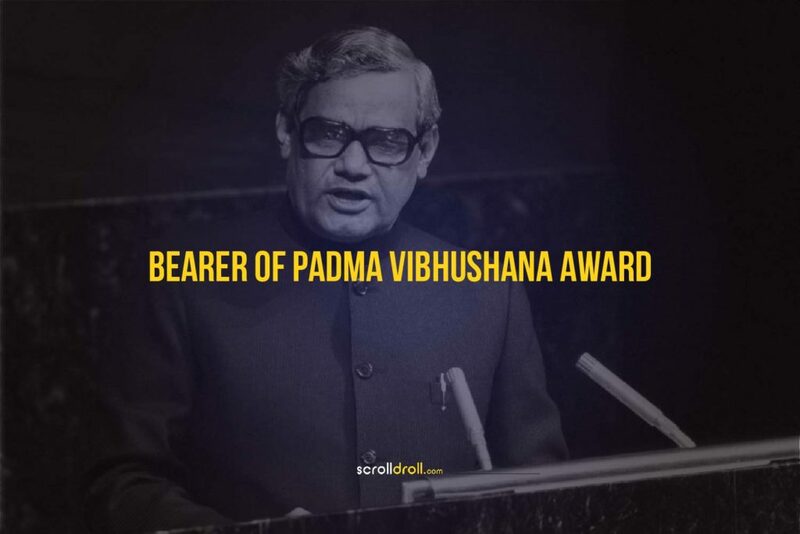 What do you think of the King of Oratory? Let us know in the comments below!